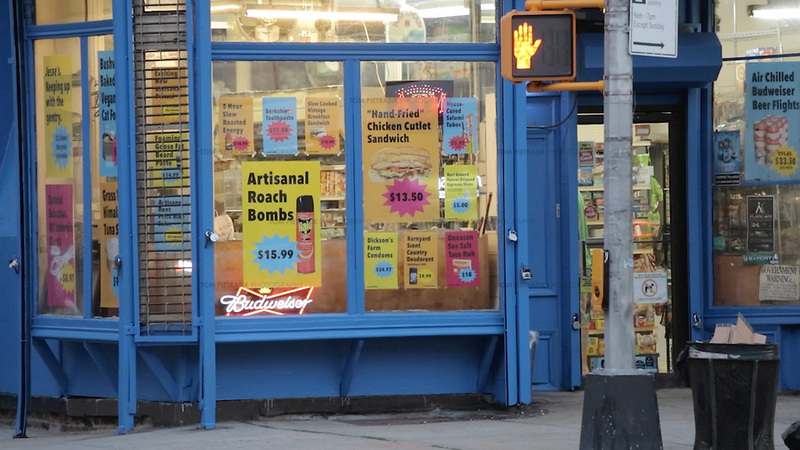 Video-still of Jesse’s storefront plastered with posters advertising satirical products at inflated prices. 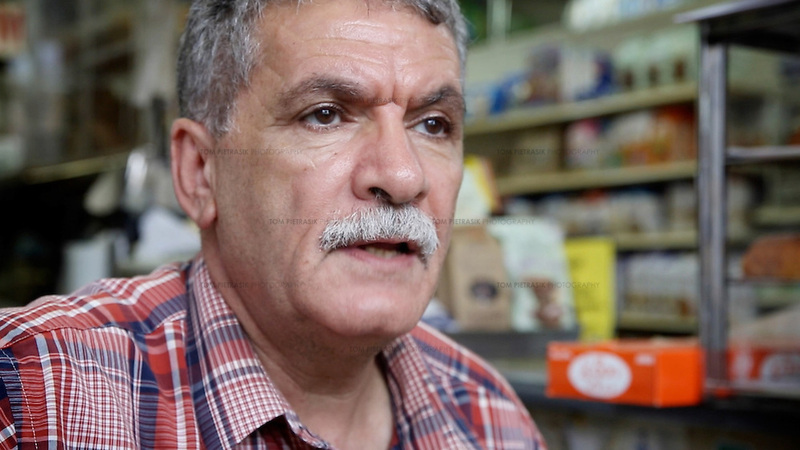 Jesse’s store, run by Palestinian-American Jesse Itayim, has been an institution in Boerum Hill for over 26 years. Itayim has worked in the area for even longer. In 1986, long before Boerum Hill became the salubrious neighbourhood it is today, Itayim caught the headlines by foiling the attempted robbery of one of his neighbours. Video-still of Jesse Itayim who has been running his store in Brooklyn’s Boerum Hill for over 25 years. 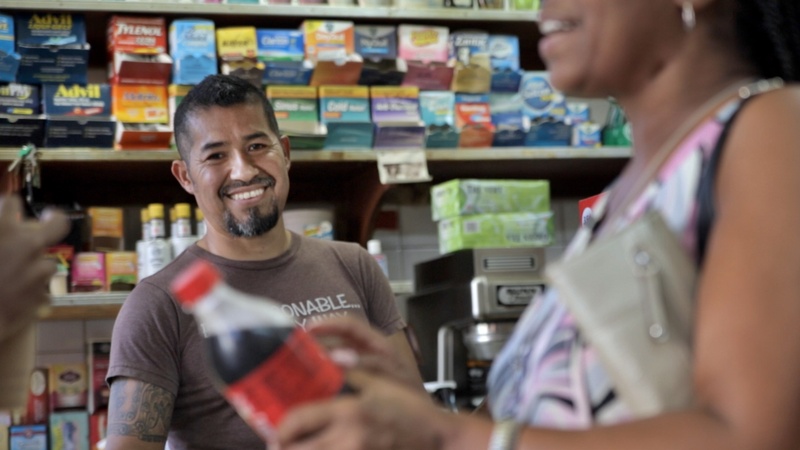 The staff at Jesse’s store offer a valuable service to residents. They walk the elderly home with their produce, accept deliveries on behalf of neighbours and remain open during the worst of New York’s weather. But like many other small businesses, Jesse’s has no negotiating power when it comes to agreeing a reasonable rent with the landlady. Legislation to protect commercial tenants is now slowly working its way through the New York City council. But there will be strong resistance from the real-estate and building lobbies should any of its provisions look likely to pass. 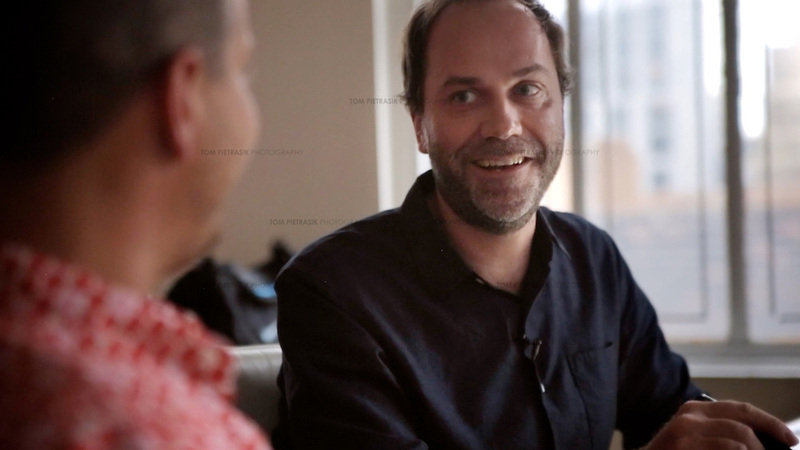 Video-still of Doug Cameron talking to advertising partner Tommy Noonan at their Manhattan office. 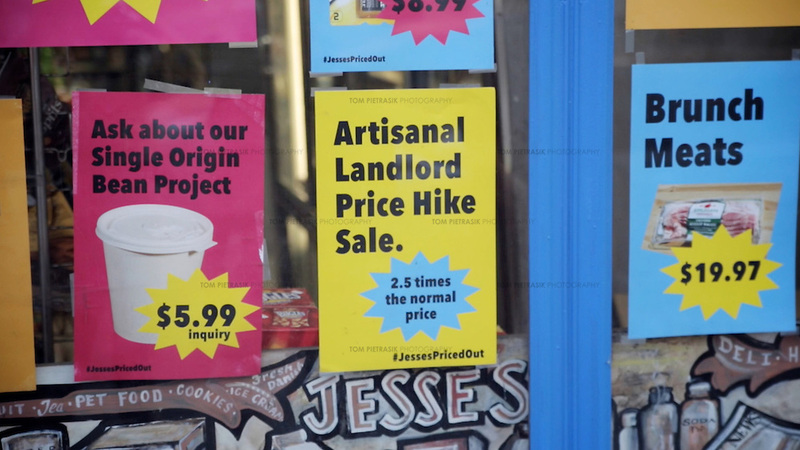 By launching a satirical “rent-hike sale” with posters advertising artisanal products in-line with the rent-increase, Cameron and Noonan have used humour to help expose the vulnerability of small business tenants like Itayim. And a complimentary social media campaign (#BillDeBodega) broadens the campaign-reach, building awareness of tenants rights among those who might be unaware just how vulnerable New York’s small businesses are. Cameron and Noonan have now launched the second phase of their campaign to save Jesse’s store. You can read details here.